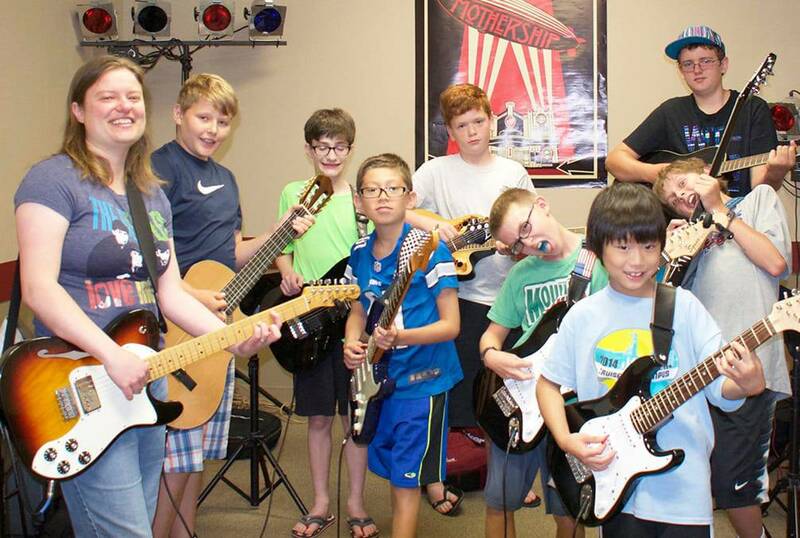 Music House offers the most successful group guitar program in the Kansas City area. 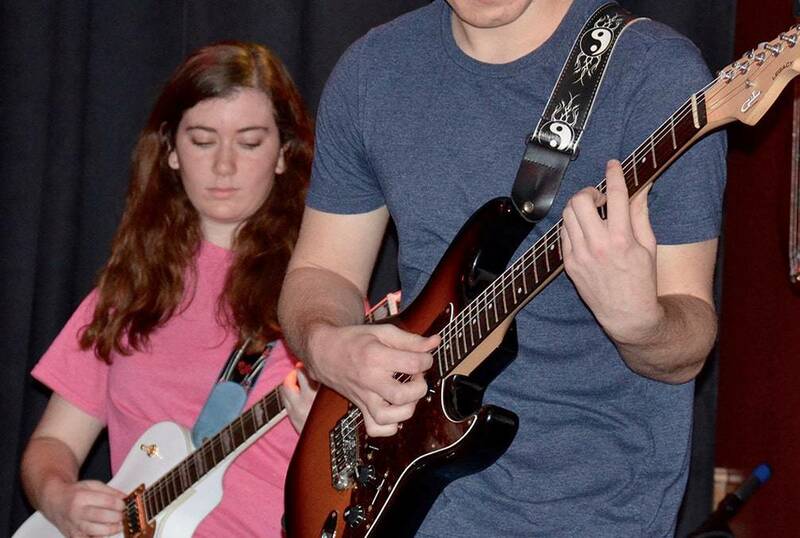 Our group guitar class curriculum, designed for absolute beginners through intermediate and advanced players, is a fun and immediately gratifying approach to learning. You’ll be making actual music from day one. It’s an inspiring way to move beyond just learning to play guitar in one-on-one guitar lessons. You'll actually become a functioning musician. Learning within a social environment is the core of the Music House Method. Our approach is open, understanding, and imaginative. Our guitar teachers create nurturing classrooms, build caring relationships with families, and welcome budding guitarists into the musical experience. Our guitar classes, rehearsals, jams, and performances teach our students and families to live musical lives. Come participate in that magic! Learn more here. Aged 9 – Adult? Sign up for our Intro to Real Guitar and join the many students who have learned to play their first song here at Music House. Not a beginner, or just ready to make the switch from private lessons to a group class? Scroll down and submit the form below or call us at 913.562.4112 and we’ll direct you to where you need to be. 6–8 years? 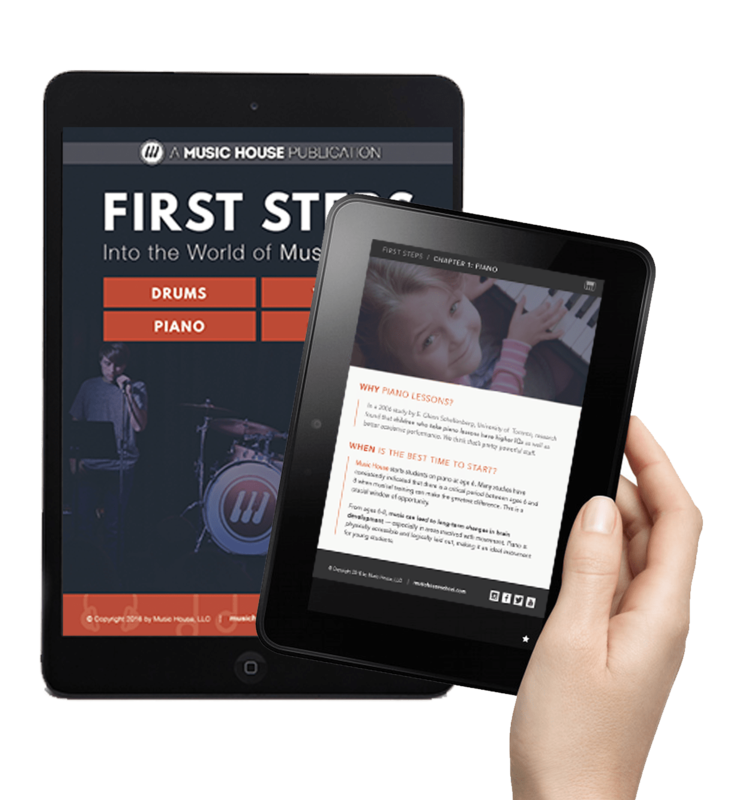 We recommend our Piano Foundations to build a solid core of musicianship. Why a Music House Guitar Class? Students learn to think like musicians, not just guitarists. Listening skills evolve as deep connections to rhythm and melody emerge.